Loretto Hospital’s board of trustees has appointed George N. Miller Jr. as its new president and chief executive officer effective Nov. 1. He’s the first African-American CEO in the hospital’s history. Miller is the former CEO and president of CommUnityCare Health Centers, the largest FQHC in Texas and the 10th largest in America. He also served on the Medicare Payment Advisory Commission (MedPAC) under Presidents George W. Bush and Barack H. Obama. Miller replaces Dr. Sonia Mehta, who took the helm in 2012. “With just over 100 beds in use, the nonprofit is considered a safety net for its neighboring communities, treating a large number of poor and uninsured patients. It has far fewer financial resources than its more affluent rivals,” Modern Health Care reported earlier this week. Miller’s appointment is a strategic move by the board to help drive decisions to improve health equity for Austin residents. “With the changing landscape of health care, this is the perfect time for George Miller to serve as Loretto’s next CEO,” said Board Chairman Edward M. Hogan, founding partner and lawyer at Hogan Marren Babbo & Rose Ltd.
“George is a very strong leader, with a successful track record for transforming both small and large health care organizations. We believe this is the right decision in order for Loretto Hospital to meet the growing health care needs of the communities it serves,” Hogan said in a statement. Miller, who last week on his first day at Loretto walked the halls to greet every employee, is widely known as an expert in turnaround operations, for motivating his staff and for delivering nationally recognized health care quality to complex organizations. With more than 28 years of experience, Miller has served as a senior health care executive and thought leader specializing in community health advocacy, health care operations and physician engagement. “I am inspired by the people at Loretto Hospital, its history, its mission, the work they have done in the community and the vast improvements they have made over the years,” Miller said in a statement. As CEO at CommUnityCare in Austin, Texas, Miller expanded access to quality health care in underserved communities by opening additional locations, including a new health center that is the largest in Texas, and the only FQHC located on a historically black college campus. He was responsible for increasing CommUnityCare’s revenues from $60 million to $100 million, and its employees from 550 to 850. 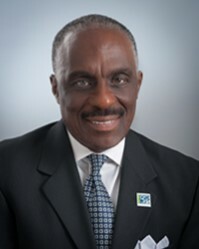 Prior to CommUnityCare, Miller served as the CEO concurrently for QHR Quorum Health Resources in Brentwood, Tennessee, and worked for Okmulgee Memorial Hospital in Okmulgee, Oklahoma, for two years. Miller has also worked in Springfield and Cincinnati, Ohio; Kankakee, Illinois; Jasper and Fort Worth, Texas; and Newport News, Virginia.